Lynne is a full-time mind-body specialist based in Washington, DC. She is director of Praxis: Wellness in Life & Work, a wellness practice specializing in mind-body approaches to life. Certified as both a hypnotherapist and a Level-3 Practitioner and Trainer in EFT, Lynne is also a Reiki Master. She brings each of these approaches into her work with her clients in her private practice, where she works with clients who have concerns ranging from pain, addiction, anxiety, depression, and PTSD to peak performance and flourishing. She regularly teaches and speaks at the Washington National Cathedral and at the Hope Connections for Cancer Center. She has taught introductory EFT to staff at Georgetown University hospital and has trained MDs, nurses, and other health-care providers in EFT. 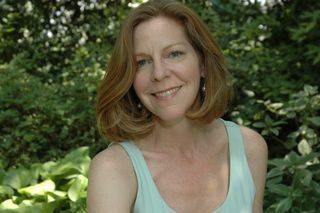 Lynne is coauthor of The EFTfree Manual and cofounder of EFTfree.net, a nonprofit website and organization devoted to EFT and mind-body education.